Henry Kissinger is known to have been advising President Donald Trump on China and North Korea over the past months, but apparently Trump would also need some lessons from the old lion of diplomacy on the Middle East. The sudden replacement of Rex Tillerson with Mike Pompeo as the American Secretary of State appears as one of the last moves of the US President in destroying a significant diplomatic achievement that has undoubtedly been in the interests of the United States, of nuclear non-proliferation, and the future of geopolitics the Middle East. This is, of course, the multilateral agreement that restricts Iran’s nuclear program, known formally as the Joint Comprehensive Plan of Action (JCPOA). However, Trump’s crusade against the JCPOA is not only targeted against the Islamic Republic of Iran, but also opposed to whatever Barack Obama accomplished in his foreign policy in regard to the Middle East. 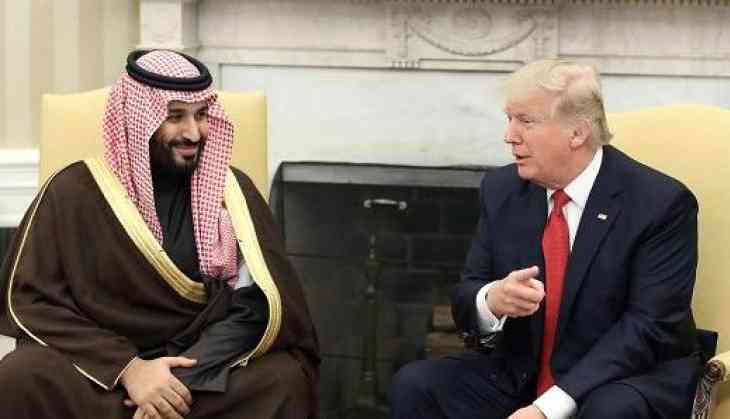 Trump’s unrelenting hostility to the JCPOA is rooted in his proximity and friendship to the right-wing government of Israel and his billion-dollar deals with Saudi Arabia's crown prince, Mohammed bin Salman. One way or another, killing the nuclear agreement with Iran, even if the other six parties to the agreement would keep some version of the accord going after a US pullout, is part of a larger Trump geopolitics in the Middle East. It seems clearly that unlike Bill Clinton and Barack Obama, the new American president does not care much about the world public opinion that sees the United States not observing its agreements and sees a US foreign policy with no apparent rationality. But we are no more at the time of Henry Kissinger, who believed in diplomacy as “an art of restraining power”. Unlike Kissinger’s clarity of thinking in diplomacy as an art of complexity management, which is founded on what Bismarck noted as “the art of the possible”, Trump’s approach to global politics and international relations resembles more the diplo-babble of a Real Estate agent, who is looking for various high-priced deals around the globe. As such, everything which made Kissinger the most interesting 'Machiavellian' of his generation is absent in Trump, including his lack of understanding diplomacy as a real force of 21st-century geopolitics. Kissinger's take on the Middle East is that we need to create in that region of the world the equivalent of the Treaty of Westphalia, which introduced a new set of principles for peace in Europe that effectively governed the world for three centuries. It is clear that after more than a year in the White House, Donald Trump is not following the Kissingerian rational pursuit of American diplomacy in the Middle East. On the contrary, the significant driver in the American President’s Middle Eastern policy making has been his own ego: he tries to fulfill the promises he made on the presidential campaign trail. The Trump administration has anti-Kissingerian way of practicing American diplomacy in the Middle East. Unlike Tillerson, but very much like Trump, Pompeo sees the Iran deal as a disaster and wants to roll it back. This is not a new thing. Speaking to reporters in 2014, as the pact was being negotiated, he offered this hyper-hawkish alternative: “[I]t is under 2,000 sorties to destroy the Iranian nuclear capacity. This is not an insurmountable task for the coalition forces.” He is also, like Trump, in favor of a regime change in Iran. In any diplomatic circle other than Trump administration, this would have been considered as a delicate diplomatic mistake. So the million-dollar question is: what are Pompeo and Trump looking for beyond the harsh rhetoric on the Iran deal and the effort to undermine it? The guess could be that when Pompeo looks at Iran, he sees a powerful Russian proxy and when he looks at the Middle East he sees Russian penetration of the region as perhaps the most serious threat to long term U.S. interests. But in that case, If Pompeo's focus is to counter Russian penetration in the Middle East and against US interest, would that not best be accomplished by trying to bring Iran into the US sphere of interest, rather than pushing them away? If not the Trump administration should go for a broad military alliance with Israel and the Sunni Arab states to rollback Russian and Iranian control throughout in Syria, Yemen, Iraq and Lebanon. In that case, a diplomatic track with Iran is out of the question and on this matter Pompeo, Mattis and McMaster share Trump's worldview. Trump’s resistance to the Kissingerian complexity management or to any policy making that subordinates U.S. power to the art of diplomacy goes hand in hand with his protectionism in trade policy and his proactive military posture in international relations. The key to Kissinger’s success was his capacity to comprehend politics as a mode of history making. In his words, “When I entered office, I brought with me a philosophy formed by two decades of the study of history.” Donald Trump once said that he has mastered the world of books. If that was the case, the American diplomacy in the Middle East would have been more Kissingerian than it is right now.